PPIS students filtering the strawberry through a strainer to separate its pieces to help better understand its DNA for their experiment. PPIS students crushing up a strawberry for their “Strawberry DNA” experiment. 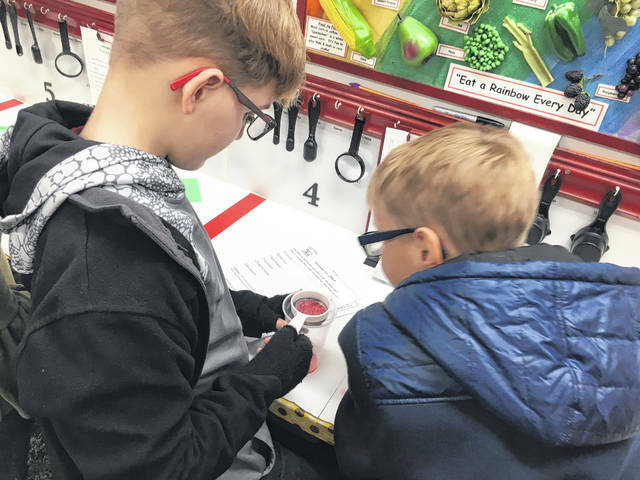 POINT PLEASANT — Students at a local elementary school have had an exciting week filled with science and hands-on learning. Point Pleasant Intermediate School (PPIS) staff and students are being visited by the West Virginia Farm Bureau’s Mobile Agriculture Education Science Lab. The science lab is a 40-foot long self-contained structure equipped with multiple research stations. PPIS Principal Stacey Walton shared she wanted to give her students a chance to do more science experiments. Each class in each grade, except for fifth graders, were able to participate in one experiment throughout the week, the fifth graders were able to participate in two experiments because they will be state tested in science this year. Walton even welcomed parents to do a walk through of the science lab, so they could see what types of experiments their children were conducting. Before the West Virginia Farm Bureau’s science lab arrived, the students were given a menu of different experiments to explore. Each class was able to decide which science experiment they would be conducting with the teacher from the West Virginia Farm Bureau. Along with conducting a variety of experiments such as dissecting the parts of a strawberry and studying its DNA and making glue from milk and comparing it to commercial glue, the students also learn about the importance of agriculture in everyday life. The students are taught to read nutrition labels, learn about which snack foods are healthiest for them to eat, and learn which foods will provide them the healthiest lifestyle. Carol Gwinn, a West Virginia Farm Bureau teacher, shared the organization serves 36 elementary schools in West Virginia each year, each week they visit a new elementary school. She explained the staff is comprised of seven retired teachers and each educator teaches for five weeks a year. The West Virginia Farm Bureau’s Mobile Agriculture Education Science Lab visits schools by invitation. 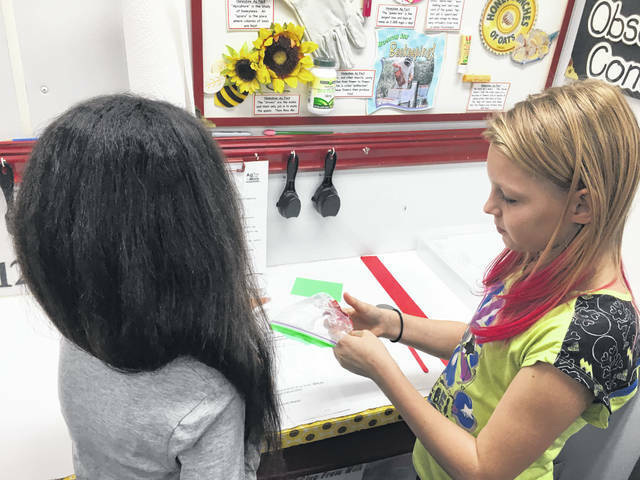 Walton shared if she has a chance and the funding to bring back the West Virginia Farm Bureau’s science lab to PPIS for another visit, she would have them back as her students love hands-on work and projects.